The close of 2013 seems to be a good time to post a quick wrap-up of some recent developments relating to biofuel policies in the U.S. and Europe, particularly relating to the U.S. Renewable Fuel Standard (RFS) and the European Renewable Energy Directive (RED). As some of these stories have already been widely reported in the trade press and onlnie, I have not included links for all the stories — please contact me for more information on any of these developments. 2014 RFS volume mandates. As has been widely reported, the US EPA published its proposed rule for the 2014 volume mandates (renewable volume obligations, or RVOs) under the RFS. In the proposal, EPA used its statutory authority to propose reduction of certain of the volume mandates below what was called for in the original 2007 legislation. This included a substantial reduction in the target for cellulosic fuels, as has been done in recent years, to a level corresponding to EPA’s assessment of actual gallons of cellulosic fuel expected to be produced next year. But for the first time, EPA used its authority to also lower the mandated volumes both for advanced biofuels (a category which includes cellulosic fuels) and the overall target for all renewable fuels, the latter being reduced by about 3 billion gallons. Combined, these adjustments also lead to about a 1 billion gallon reduction in the portion of the mandates corresponding to corn ethanol. This is only a proposed rule, and EPA is taking comments on the proposal until January 28, 2014. The proposal elicited the expected vehement reactions on both sides of the renewable fuels debate, and biofuel supporters have been pulling out all the stops to convince EPA to scale back or eliminate the proposed reductions in the mandates. EPA has held public hearings on this proposal. A hearing in Washington DC on December 5 drew approximately 150 commenters over a 12-hour period. Reportedly, RFS supporters outnumbered RFS opponents roughly 2-to-1. The outcome of all the public comments and debate will likely not be known until after the close of the public comment period. Challenges to the RFS. Among pending actions challenging the RFS are the following. EPA has requested public comment on the petition asking for a waiver of the 2014 RVOs filed in August 2013 by the American Petroleum Institute (API) and the American Fuel & Petrochemical Manufacturers (AFPM). Public comments have been requested by January 28, 2014. The U.S. Court of Appeals has agreed to expedite review of a pending lawsuit challenging the 2013 volume mandates that EPA issued in August 2013. The Court had previously consolidated three separate lawsuits filed by API, AFPM, and Monroe Energy. A number of organizations have filed briefs on both sides of the issue, including BIO and the National Biodiesel Board in defense of the 2013 volume mandates. The case should move quickly after a February 2014 deadline for submission of all briefs. Congressional action. Although EPA’s proposal to lower the 2014 mandates may have temporarily quieted Congressional Republican efforts to repeal the RFS in its entirety, at least two new bills have been, or are expected to be, filed in Congress to revise the RFS, in addition to at least one bill addressing the tax credits due to expire today, December 31, 2013. On December 13, Senators Dianne Feinstein (D-Calif.), Tom Coburn (R-Okla.) and eight cosponsors introduced the Corn Ethanol Mandate Elimination Act of 2013. The bill eliminates the corn ethanol mandate within the Renewable Fuel Standard (RFS), which requires annual increases in the amount of renewable fuel that must be blended into the total volume of gasoline refined and consumed in the United States. Cosponsors of the bill are Richard Burr (R-N.C.), Susan Collins (R-Maine), Bob Corker, (R-Tenn.), Kay Hagan (D-N.C.), Jeff Flake (R-Ariz.), Joe Manchin (D-W.Va.), Jim Risch (R-Idaho) and Patrick Toomey (R-Pa.). Senators Ben Cardin (D-Md.) and David Vitter (R-La), the top Republican on the Senate Environment and Public Works Committee, have been widely reported to also be working on legislation that would curtail corn’s portion of the RFS mandate. Details on this bill have not yet been disclosed. 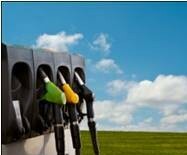 On December 11, the Senate Environment and Public Works Committee held a hearing on the RFS. Although testimony and statements from committee members were heard on both sides of the issue, Committee Chair Senator Barbara Boxer (D-Calif.) reportedly closed the hearing by indicating that her committee would not be pursuing any legislation that would “reverse course” on the RFS. On Dec. 12, Rep. Scott Peters (D-Calif), introduced H.R., 3758, which would extend the second generation biofuel producer credit and the special allowance for second generation biofuel plant property. The bill, entitled the “Second Generation Biofuel Extension Act of 2013,” would extend both the second generation biofuel tax credit and the second generation biofuel plant property allowance for one year, extending the expiration dates from to Jan. 1, 2015. California Low Carbon Fuel Standard. The full 9th Circuit U.S. Court of Appeals will rehear a case previously decided in favor of the California Air Resources Board (CARB), when a 3-judge panel of the Court ruled by a 2-1 vote that the LCFS did not unconstitutionally discriminate against out-of-state fuel producers. That panel decision reversed a lower court decision that went against CARB. Briefs have been filed on both sides of the issue, but it is not known when the full Appeals Court will decide the issue. European Union Renewable Energy Directive. In meetings December 12-13, the Energy Ministers from EU nations failed to reach agreement on the path forward for amendments to the Renewable Energy Directive. In particular, the ministers rejected a compromise proposal from Lithuania that would have capped crop-based biofuels at 7% (up from the 6% limit passed by the European Parliament) but would also have required mandatory reporting of indirect land use change (ILUC). This action apparently means that the proposal will not advance any further until after the 2014 parliamentary elections, and assures that there will not be final action until sometime in 2015. In the meantime, the provisions of the Renewable Energy Directive remain in place as originally adopted. Posted on December 31, 2013 by dglassassociates. This entry was posted in Biodiesel, Ethanol, International, Low Carbon Fuel Standards, News, US Renewable Fuel Standard. Bookmark the permalink.